If you are looking for LPG car service and repairs in Brunswick and Knoxfield, you can count on LPG mechanic at The Automotive Experts. When it comes to LPG car repairs, we offer a comprehensive range of services for any vehicle regardless of its make and model. We also offer LPG conversion & installation. Like a petrol or diesel fueled vehicle, LPG cars should also be serviced at regular intervals in order to identify potential problems and avoid unexpected breakdowns. The LPG system components tend to deteriorate over time, so it is a good idea to have them inspected by our LPG specialists. With an LPG gas system, it is important to get your vehicle serviced every 20,000km or 12 months to ensure that the vehicle is running smoothly and effectively. When you come to us for car gas service, you can have our professional team to perform emission check, inspect& replace worn out injectors, change dirty filters and carry out safety inspection on all other components. Our gas mechanic team also provides manufacturer-scheduled maintenance service that helps to maintain the performance and resale value of your vehicle. If you suspect that something has gone wrong with your LPG gas-fueled vehicle, stop by our auto repair facility for quick repairs. 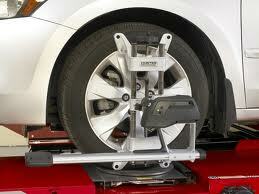 We have immense knowledge and equipment to diagnose any problem with your vehicle and fix it right away. All our repair works will be consistent and are performed in line with the manufacturer’s specifications. Safety check on pipes, injectors, wires, filler, etc. Whether you own a petrol or diesel vehicle, our LPG specialist will integrate your autogas service with your regular vehicle servicing schedule to make the maintenance process much easier. If you would like to schedule an appointment with us, call us now at 03 9384 0401.